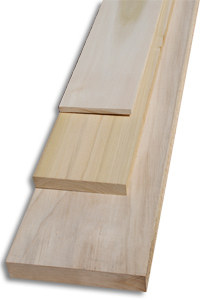 Poplar is one of the most commonly used utility hardwoods in the United States. 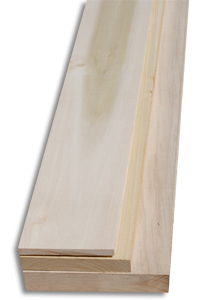 Very easy to work in almost all regards, one of Poplar’s only downsides is its softness. Typically Poplar is used for "paint grade" projects where the color of the board or the grain is not the deciding factor.